Tanya W. Lambert is a supervisory Acquisition Program Manager in the Business & Enterprise Systems Directorate, Maxwell AFB Gunter Annex, AL. Ms. Lambert began her Air Force career as a Co-Operative Education student. Upon graduation from the University of West Florida, Ms. Lambert accepted a position in the Sensor Fuzed Weapon System Program Office (SPO) at Eglin AFB, FL in 1988. Ms. Lambert worked in various system program offices to include Range Instrumentation, Advanced Medium Range Air to Air Missile, Range Applications GPS Joint SPO, Agile Combat Support Systems Squadron, Precision Guided Munitions, Miniature Munitions and the Joint Air to Surface Standoff Missile Branch. Ms. Lambert worked in the Commander’s Action Group for the Commander and PEO for Weapons and was the Executive Officer to the Deputy AFPEO for Weapons and Executive Director of the Air Armament Center. 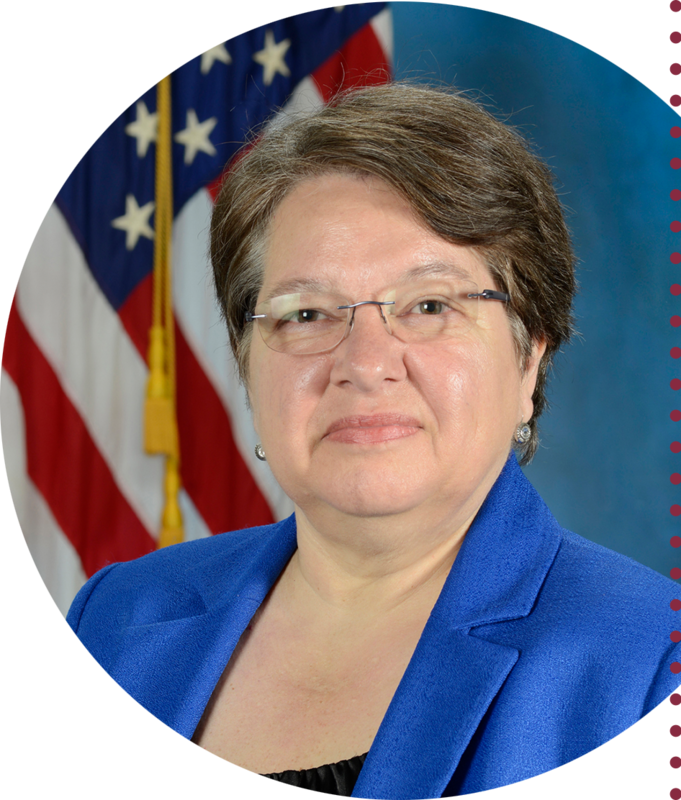 Ms. Lambert was the Deputy for IRBM and ICBM programs in the Targets and Countermeasures Directorate, Missile Defense Agency before becoming the Director, Plans, Programs & Integration, Missile Defense Agency, Redstone Arsenal, AL. Ms. Lambert was the Deputy Chief of the AWACS Division before accepting the Deputy PEO, C3I&N Directorate at Hanscom AFB MA. Ms. Lambert has earned several awards and honors, including four Exemplary Civil Service Awards, and the 2018 Federal Computer Week Federal 100 Award.